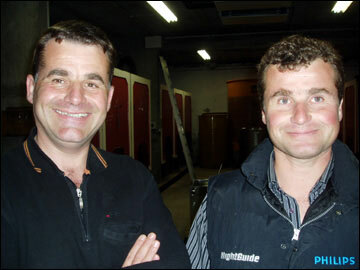 Domaine Edmund Jacquin et Fils is run by Patrice Jacquin and his brother Jean-Francois. It is spread over 22.5 hectares (55 acres) that are exposed south and southwest — ideal for catching the late sun. 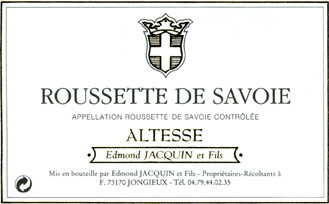 Patrice et Jean-Francois JacquinWhile the Jaquin brothers make a full range of wines including Mondeuse, Gamay, Pinot Noir and Chardonnay, it is the Altesse that is of extreme interest and is the only grape used for Rousette de Savoie Marestel. The vines range from 5 to 60 years of age, and their yield is between 45-55 hl / ha (three to four tons / acre). 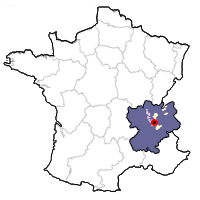 The Jacquin vineyards are worked sustainably, that is according to culture raisonnée. The harvest of the grapes is strictly by hand. The wine is fermented in stainless steel tanks after a cold prefermentation. A delicious, thirst-quenching wine from Savoie, this time with more body than Jacquère or Chasselas, and more subtle aromas than Roussanne. Tasting Notes: Quince, flowers, apricot and a touch of honey rise from the medium-bodied palate, which finishes with just a hint of mountain tonic. Food Match: A wonderful match for light to medium-bodied white fish, cold chicken salads, shrimp dim sung, and crab fritters. Altesse is a grape with high acidity, and winemakers often compensate by leaving four or five grams of residual sugar to round out the palate. While visiting the domaine in April 2006, most of the tanks did indeed have some residual sugar. One tank, however, had passed through full malolactic and had less than two grams. After experimenting with several blends, a cuvée destined for the United States was selected, with 60% of the base cuvée and 40% of the cuvée that had gone through malolactic.